Some very exciting news has just been confirmed with us; on Thursday 25th of September, we will be joined in store at Robinsons by non-other than Guy West, co-founder and designer of Jeffery West shoes! Guy will be in store to meet and greet customers as well as advise them on styles/fits of shoes etc, gain feedback AND... advise on what Aasen Stephenson can TATTOO ON TO YOUR JEFFERY WEST SHOES!!!! 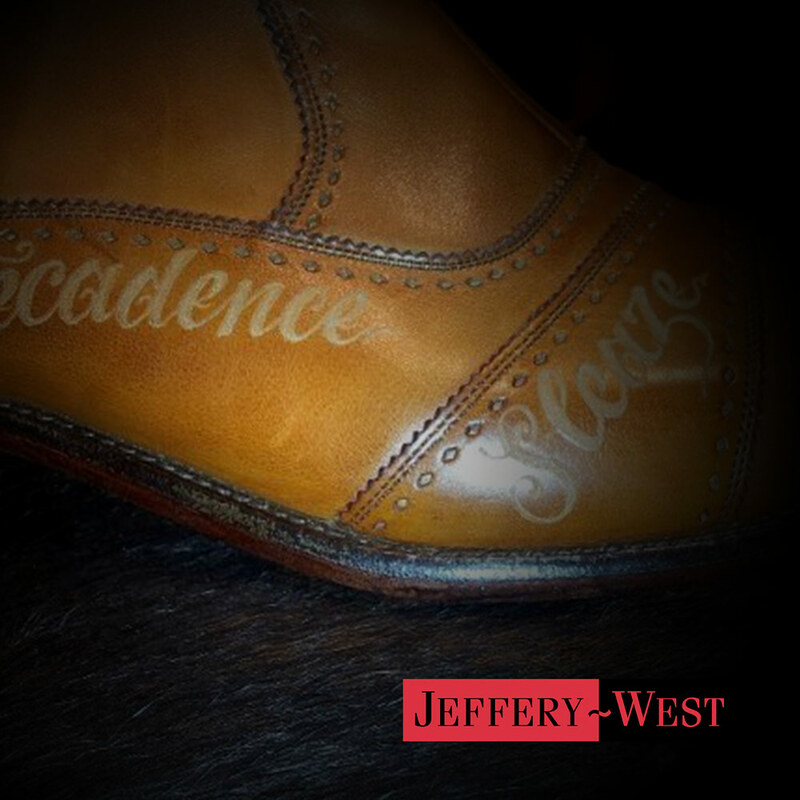 That's right, we will be offering you the chance to not only meet the legend that is Guy West, but also to have your Jeffery West shoes customised and 'tattooed' by Aasen Stephenson! Whether you want your initials, a symbol, a favourite saying or even your company logo - Guy & Aasen will work with you to create something totally unique and bespoke to you. Check out this video about Aasen Stephenson and his ongoing collaboration with Jeffery West. To register your interest or book an appointment please email laura@robinsonsofbawtry.com us or call Laura in store on 01302 711477.